870 pages | 244 B/W Illus. 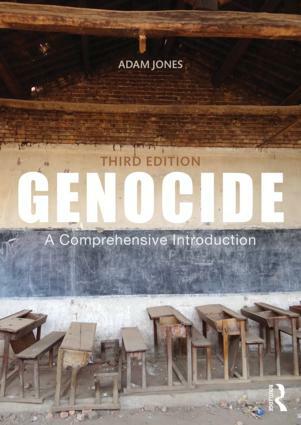 Genocide: A Comprehensive Introduction is the most wide-ranging textbook on genocide yet published. The book is designed as a text for upper-undergraduate and graduate students, as well as a primer for non-specialists and general readers interested in learning about one of humanity’s enduring blights. Provides an introduction to genocide as both a historical phenomenon and an analytical-legal concept, including the concept of genocidal intent, and the dynamism and contingency of genocidal processes. Discusses the role of state-building, imperialism, war, and social revolution in fuelling genocide. Supplies a wide range of full-length case studies of genocides worldwide, each with a supplementary study. Explores perspectives on genocide from the social sciences, including psychology, sociology, anthropology, political science/international relations, and gender studies. Considers "The Future of Genocide," with attention to historical memory and genocide denial; initiatives for truth, justice, and redress; and strategies of intervention and prevention. Extensive new material on the Kurds, Islamic State/ISIS, and the civil wars/genocide in Iraq and Syria. Conflict and atrocities in the world’s newest state, South Sudan. The role, activities, and constraints of the United Nations Office of Genocide Prevention. Many new testimonies from genocide victims, survivors, witnesses—and perpetrators. Dozens of new images, including a special photographic essay. Written in clear and lively prose with over 240 illustrations and maps, Genocide: A Comprehensive Introduction remains the indispensable text for new generations of genocide study and scholarship. An accompanying website (www.genocidetext.net) features a broad selection of supplementary materials, teaching aids, and Internet resources. Adam Jones is Professor of Political Science at the University of British Columbia Okanagan in Kelowna, Canada. His recent books include The Scourge of Genocide: Essays and Reflections (Routledge, 2012) and Gender Inclusive: Essays on Violence, Men, and Feminist International Relations (Routledge, 2009). He is also editor of the Genocide and Crimes against Humanity book series for Routledge.